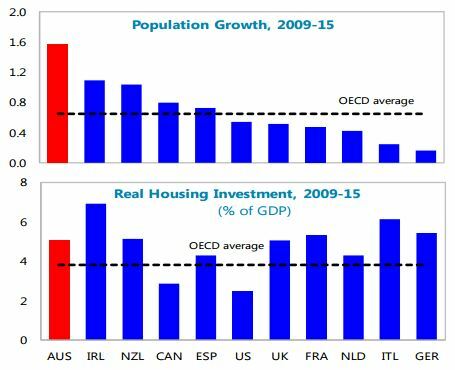 “By some metrics, housing market conditions have cooled and credit growth to households has slowed, but risks related to house price and debt levels have not yet decreased. 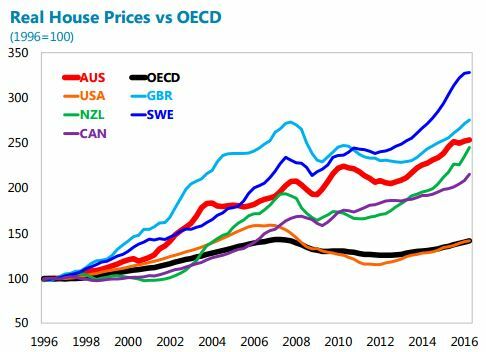 Real house price gains have moderated. 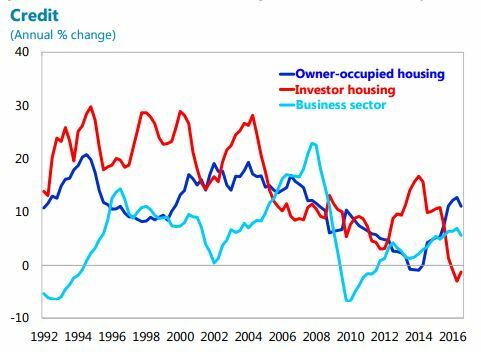 Indicators of current conditions such as sales volumes and the rate of turnover in the housing stock have moderated. The extent of cooling has varied considerably across capital cities. The strongest price increases continue to be recorded in Sydney and Melbourne, where underlying demand for housing remains strong. With house prices still rising ahead of income, standard valuation metrics suggest somewhat higher house price overvaluation relative to the assessment in 2015 Article IV consultation. The flipside has been slowing growth in bank lending to households. APRA prudential guidance requiring tighter lending standards by banks, which was introduced in late 2014, has curtailed growth in riskier mortgage loans in particular and credit growth to household more broadly. At the same time, there has been some upward pressures on mortgage rates, as banks have increased capital ratios and prepared for a higher risk weight on mortgage lending. That said, household credit gaps have not yet reversed.